Charge fully drained lead-acid and lithium-ion batteries up to 40Ah, including ATVs, lawn mowers and motorcycles. 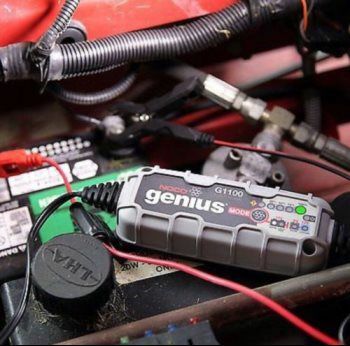 Safely maintain all types of automotive, marine, RV, powersport, lawn & garden and deep-cycle batteries. NOCO Genius Smart Battery Chargers are some of the safest and most advanced on the market. 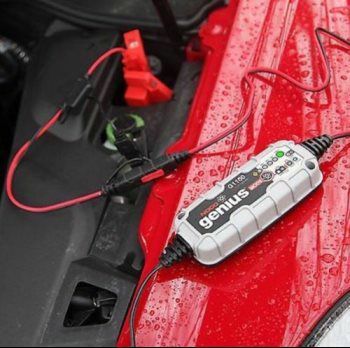 One of our best, the G1100 1.1A is designed to charge 6-volt and 12-volt lead-acid and lithium-ion batteries up to 40Ah. 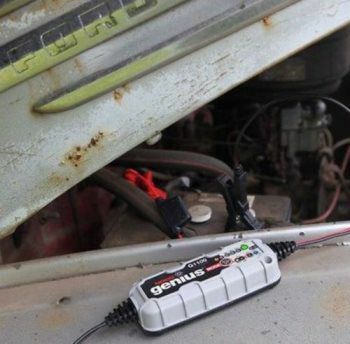 It can also effectively maintain automotive, marine, RV, powersport, lawn & garden and deep-cycle batteries. 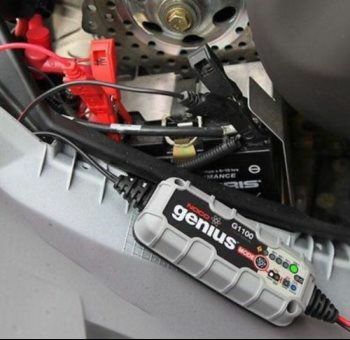 It charges 2x faster than ordinary chargers, can repair damaged batteries and is designed to use with micro-hybrid start-stop vehicles and CANBUS electrical systems. 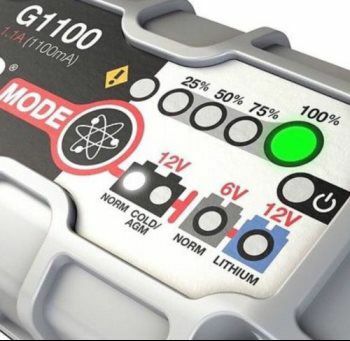 Guided by an onboard microcomputer, the G1100 monitors battery activity for safe and efficient charging, automatically minimizes energy consumption and provides redundant levels of safety protection, including spark-proof technology, as well as reverse polarity and overcharge protection. 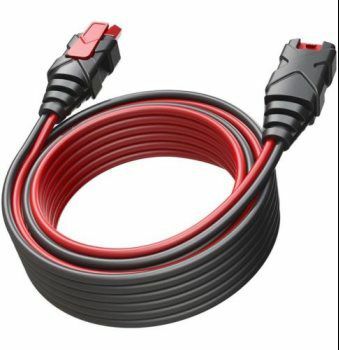 It can remain safely connected 24/7, while the streamlined design makes it ultra-compact, portable and incredibly lightweight. 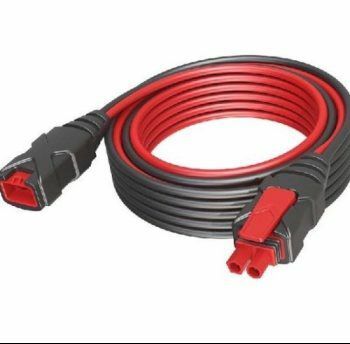 It features external mounting holes and a rubberized base that avoids surface slipping and scratches, while remaining impact, UV and water-resistant (IP65). Intuitive LED indicators provide visual diagnostic information and feedback of the batteries state-of-charge, even when in maintenance mode. 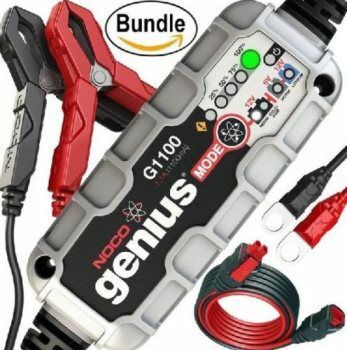 Designed for use on 120-volt 50-60Hz electrical systems, the G1100 smart charger includes both X-Connect battery clamps and eyelet terminals, as well as our 5-year limited warranty.